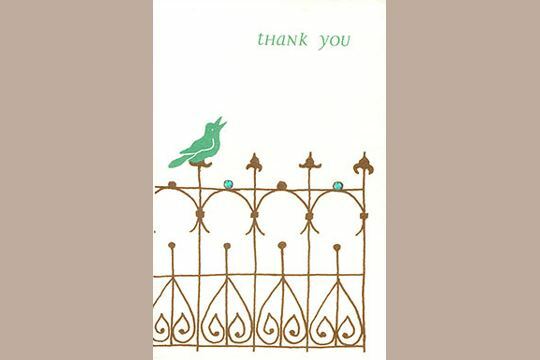 This little bluebird is singing his Thank You song just for you to send to someone. Each card is printed front-and back on Italian mould-made paper using an original design from a hand-carved linoleum black, then hand-finished with pretty sky blue Austrian crystal rhinestones. Created by Spotbear Productions, the card measures 3-1/2 by 5-1/4 inches and is accompanied by a matching envelope. The inside is blank for your own message.